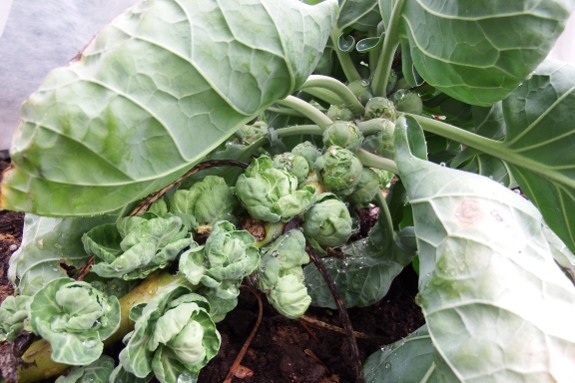 When's the best time to pick overwintering brussels sprouts? About two weeks ago, based on the fact that the older sprouts are opening up on me. I hurried to pick everything --- a pretty good haul, although not as sweet as they would have been in cooler weather.